In a slew of announcements today, BlackBerry is ready to bring its A-Game to the world of embedded gadgets. The maker of the iconic business smartphone is also giving its QNX operating system a shot of adrenaline, building a platform for the growing “Internet of Things” (IoT), which refers to the many everyday devices we own that will soon be connected. 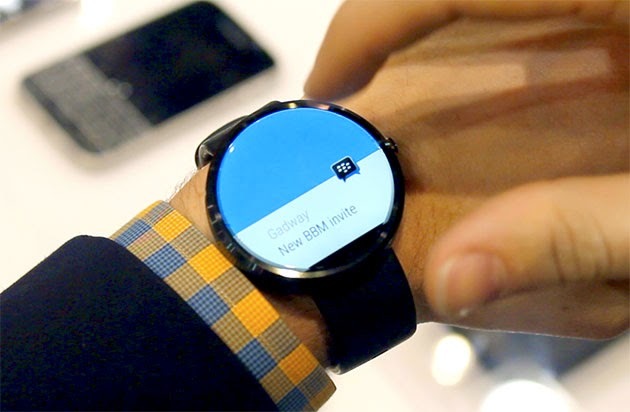 BlackBerry also stated it will soon update its BBM app to support Android Wear devices. QNX, which BlackBerry bought back in 2010, is an operating system designed for the many embedded devices that will soon make up our worldwide “Internet of Things.” IoT refers to the growing trend of connected devices in everything from watches to clothing, golf clubs, and even home appliances. The idea is that our world will soon be powered by endless online devices that we can interact with digitally, and BlackBerry wants its QNX operating system at the core of this coming revolution. QNX works as a low-level system that is designed to require little maintenance, so that the gadgets it runs on don’t crash very often, or require regular cleaning like a typical home PC. QNX Neutrino has already been ported to a number of systems and architectures, but BlackBerry is focusing its QNX Neutrino operating system as an overall platform that will soon support millions of embedded devices. QNX already powers 50 million cars, so an IoT platform is simply the next logical step for the operating system. BlackBerry also announced a partnership with NantHealth to use QNX in their medical IoT devices. In another announcement, BlackBerry says that it will bring its iconic BBM messaging software to Android Wear. BlackBerry’s SVP of BBM Engineering, Herman Li, stated that the company is committed to bringing what its users request, such as greater support for non-BlackBerry devices and accessories through partners. BBM will feature the usual, Android Wear-esque integration with swiping through to receive notifications, reply, and interact with the messaging app. The move is a necessity if BlackBerry wants to attract users to the messaging service who don’t own BlackBerrys, especially as competition from messaging services like iMessage and WhatsApp continue to eat away at BBM’s once-dominant market share.